Home›Yoga Tips›What is the best yoga asana to improve concentration and memory power? What is the best yoga asana to improve concentration and memory power? Do you want to increase your memory capacity? Here is how to do it with simple and easy to do yoga poses by the power of memory. There are several natural ways in which one can increase their memory capacity, concentration levels and improve and hone their skills. But yoga is the most chosen option among all. Super cerebral yoga is one such type of yoga to increase memory capacity. The following is a list of the 10 asanas in yoga for concentration and memory. Follow the simple step-by-step instructions listed below and get started. To make the Paschimottanasana, sit on the floor, legs spread straight and hands placed on the floor, in addition to the body. Bend your body in the forward direction from the hips. Lengthen the coccyx, lean forwards and stretch the hands forward towards the toes. Relax. This is the best asana to relax, calm the mind and thus improve your memory skills. Sit on the floor with your legs spread straight in front of you. Bend your right knee, lift it with your right hand and place it on the outside of your left thigh. Bend your left knee, lift it with your left hand and place it on the outer edge of your right thigh. Place your hands on your knees, palms facing down. Close your eyes and concentrate. Relax. This posture is also known as hands-to-feet pose. Standing on the ground in a straight position. Exhale and bend down from the hips until the hands reach the toes. Keep your toes with your hands and stay stable. Relax. 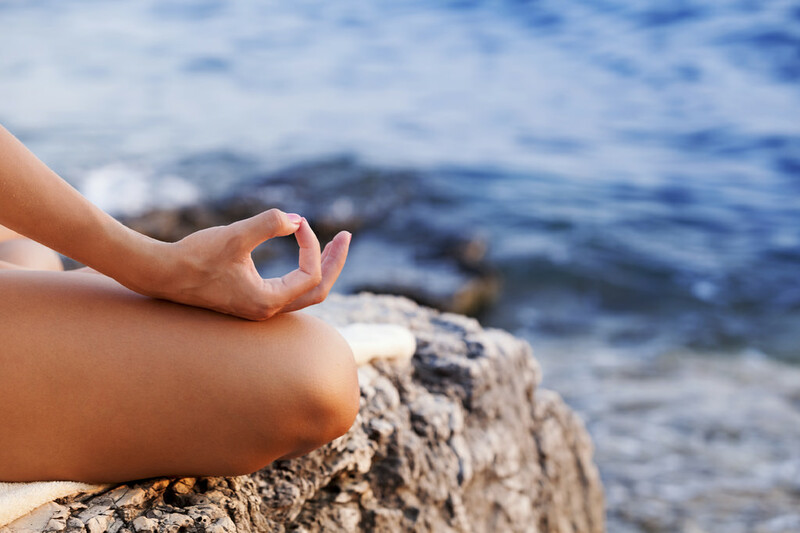 Recent studies indicate that the practice of yoga serves to improve concentration. Yogis have always known that the benefits of the practice go far beyond the physical. We know through the ancient philosophy of yoga, that their practice is an excellent way to calm the mind, in addition to improving the concentration and focus of our thoughts. Now, science has come to confirm it: you can practice yoga to improve concentration. A study from the University of Illinois showed that practicing yoga for 20 minutes a day can improve brain function. The study, conducted with 30 people, focused on performing two tasks of different complexity that involved the identification of forms on a computer screen. The study found that people who practiced yoga completed the exercises earlier and more effectively than those who performed simply physical exercises or no exercise, that is, thanks to the practice of yoga concentration is improved. The researchers noted that after practicing yoga, “participants had more ability to concentrate, processed information more quickly and with greater precision. They also managed to learn, maintain and update the information that was brought to them in less time. “Therefore practicing yoga to improve concentration throughout the process helped them to relax, moving away the thoughts that distracted them or made them lose the necessary concentration. This has not represented any surprise or novelty in the world of yoga, in the sense that yoga practitioners already know these benefits, and even already wrote about it a long time ago. Patanjali, in whose classic “Yoga Sutras”, I already quoted the following verse “chitta vritti nirodha yoga”, which we can translate as “yoga is the reduction of the fluctuations of the mind”, which means that we practice yoga to calm the mind . READ What are the yoga exercises to be done regularly for fitness? This posture is a variation of Tadasana, it is a great way to get in touch with your body and exercise your breathing before moving on to other asanas. We can perform this position in two ways, sitting cross-legged in front of us, with a straight back, or standing up, keeping the back straight and with the feet slightly separated and aligned with the shoulders. The exercise consists of joining your hands in the center of the chest to the height of the heart in position Namaste ( Anjali Mudra ). We check that the weight is distributed evenly throughout your body: the feet, calves, pelvis and hips. We keep the shoulders relaxed. We breathe deeply through the nose, gradually noticing the sensations of these breaths in the body. I recommend doing this exercise with closed eyes to achieve a greater benefit, and we concentrate on the point between the eyes, which is known as the third eye. That the equilibrium postures help to improve the concentration is known by all, but it is the posture of the eagle that is especially beneficial for achieving better focus. In fact, the posture gets its name from the Hindu god Garuda, known for his power, strength and focus. To perform this position, we must stand with our feet together and our hands on our hips, and we look for a point where we can focus our gaze constantly in front of you. Bend your knees slightly, raise your right leg, and cross over your left thigh. Try to support your right foot behind the left calf. Next, release your hands from your hips and carry them in front of you, cross your arms, your left arm over the right, and bend your elbows. Wrap your arm around the other and try to put your palms together. Keep your back straight and your gaze focused like an eagle to the point you chose, and start to breathe deeply through your nose. READ Is there any scientific proof of the existence of chakras? Posture of the eagle or Garudasana. To be a “warrior” requires intense concentration, great focus and courage, the posture of gerrero 2 allows you to embody all these qualities. The posture requires the intervention of your entire body in full and your look or ” drishti , fixed in one place. If we want to practice yoga to improve concentration we can do this posture, stand with legs spread about 3 or 4 feet apart. Stretch your arms out and away from you, and keep them parallel to the floor, keep your hands open, and palms down. Turn the right foot so that it is pointing towards the top and your left foot is slightly angled inwards. Bend the right knee and move forward, the knee should be approximately at the height of your right ankle. Turn your head to the right, and put your eyes on the middle finger of your hand. You must keep the trunk to the side, not in front. Breath deeply. Which yoga is better for asthma?